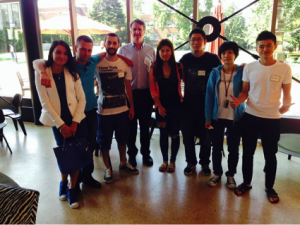 On August 18th, 2014, BridgePathways at Philadelphia University opened its doors to its first cohort of international students. With their degrees chosen, students were about to begin their lives on-campus as Academic English students. Now those same students are on track to earn degrees from Philadelphia University. We are proud to celebrate the first year of this center; it has certainly been eventful! As the number of international students keeps growing, the center now welcomes students from more countries than ever before! We’ve had the pleasure of instructing students from Austria, China, India, Japan, Peru, Russia, Saudi Arabia, Taiwan, Ukraine, and more. Our staff is also growing to meet the needs of the students. Now that our graduates have moved on to successful academic careers at PhilaU, they have become an important component of campus life. 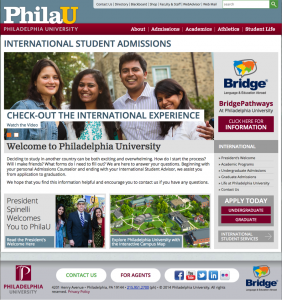 esl-blog academic English, BridgePathways, conditional admission, degrees, ESL, Graduation, international students, philadelphia university. permalink.